Homes built since 2010 offer an average 67.8 square metres of living space, which is slightly larger than the size of a traditional double-decker bus. Homes hit a peak size of 83.3 square metres in the 1970’s. Flats have also experienced a drastic downsizing over the years, with some now offering less than 30 square floorplans. As the need for small space living shows no signs of slowing down, it’s more than likely you’re looking to add more space to your home that’s cost-effective yet doesn’t compromise on quality or style. So, here are a few small house extension ideas to whet your appetite. Inspired by greenhouses, lean-to conservatories offer a convenient extension of your home with a sloped roof that literally ‘leans’ on the longest wall of your home. Its slim rectangular shape and low-pitched roof is perfect for awkward spaces, as it tucks snugly under the eaves of the existing roof – adapting to smaller houses and bungalows with ease. Constructed almost completely out of translucent materials, it lets copious amounts of light in; enlarging the space further. 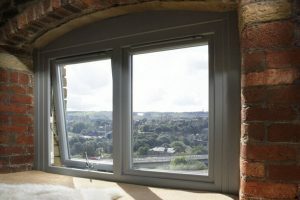 Casement windows are the UK’s most popular window style, expertly able to adapt to a wide range of property sizes and styles. Opening outwards from hinges fixed to the side, they can be installed singly or in pairs. Above all, they allow small homes to retain as much space as possible with their outward opening function. If you have an existing extension that’s considerably constrained, have you thought about upgrading it with bedazzling bi-folding doors? Their unique sliding and concertina folding actions are incredibly versatile, ultimately opening up a whole wall to stylishly bridge the gap between your home and garden spaces. And because it’s a small space, it should be a relatively cost-effective installation process. At SEH BAC we understand the convenience of being able to spread the cost of a home improvement, especially at this time of year. This is why we have a range of fantastic finance packages to take advantage of, whatever your lifestyle or budget restraints – we’re sure we have a package to suit your individual needs. 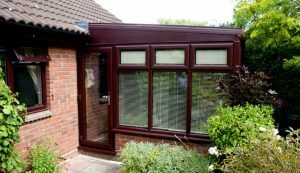 Visit your closest SEH BAC show centre for further inspiration for your very own small space extension project or contact the SEH BAC team to discuss your options further.